Hello, my name is Neil Losada. I am a Partner at Best Behaviour K9 and I am the principal trainer and behaviour specialist. I am a Nationally Accredited Trainer responsible for training Police Dogs and their handlers in a variety of roles. I am an Approved Trainer and Committee Member with the National Association of Security Dog Users, training and assessing security dogs and their handlers and I hold a City and Guilds qualification in teaching. I am also a trainer with The Guild of Dog Trainers. My professional experience spans over 18 years, during which, I have raised, trained and worked Police Dogs in a number of disciplines; including obedience, agility, protection work, tracking and searching for property and people. As an ACPO (now NPCC) Accredited Police Dog Trainer, I trained Drugs, Currency, Firearms and Ammunitions Detections Dogs. I have three times competed in The National Police Dog Finals as well as a variety of Regional and Open Police Dog Competitions. In addition I have successfully competed, organised and judged at a number of civilian and Working Dog competitions. I have trained dogs for film, television and stage, including; X-men First Class, Emmerdale, Coronation Street, an award-winning film by Slackjaw ‘TWINE’, and more recently Scott and Bailey, DCI Banks and Peaky Blinders. I have had the pleasure of owning dogs of various breeds for most of my life and I have always enjoyed the usual aspects of pet dog training. However, I began studying canine behaviour in earnest shortly after being given my first Police Dog, Mac, a German Shepherd. Mac had been re-homed due to a number of behavioural issues including serious aggressive tendencies. After learning how to read and understand dog behaviour, I successfully integrated Mac into our family and worked with him until he passed away at seven years old. 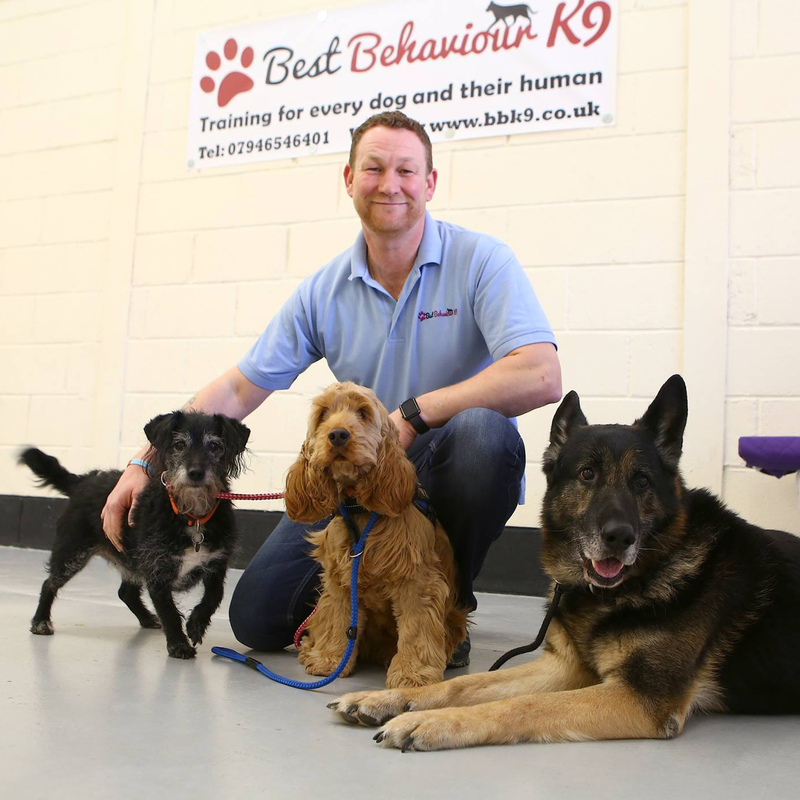 Since the birth of Best Behaviour K9, I have successfully rehabilitated thousands of dogs and provided their owners with the knowledge of how to effectively communicate with their pets. I thoroughly enjoy the new challenges that each and every client and their dog present. Occasionally I find myself being the last chance for some dogs due to their severe behavioural issues. I take great satisfaction helping owners and their dogs to realise their role in life and within the family. I also hold regular group training classes and I am referred to by more local veterinary groups in my area than any other trainer.